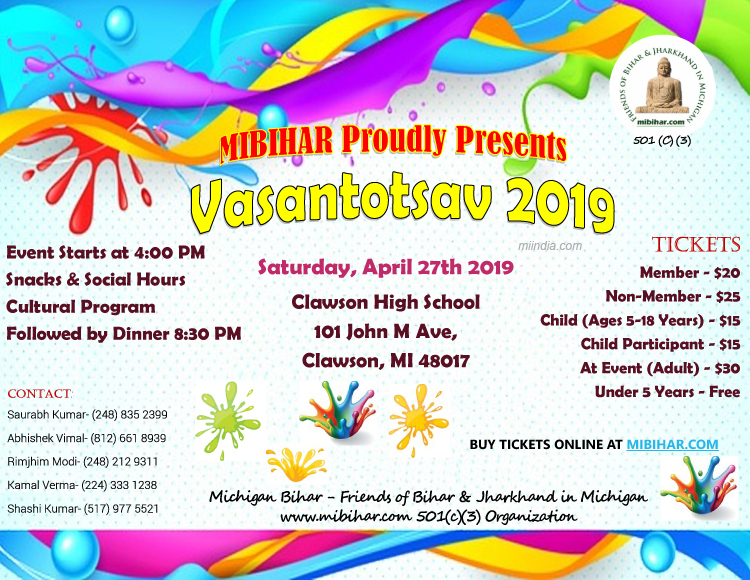 On behalf of MIBIHAR’s cultural team, I gladly invite you with Friends and family to participate in our Vasantotsav 2019 stage programs. Join us for a celebration of Holi with bright colors of joy, dazzling performances, scrumptious food, music, dance and non-stop entertainment. Looking forward to celebrate, Vasantotsav 2019 with all of you.